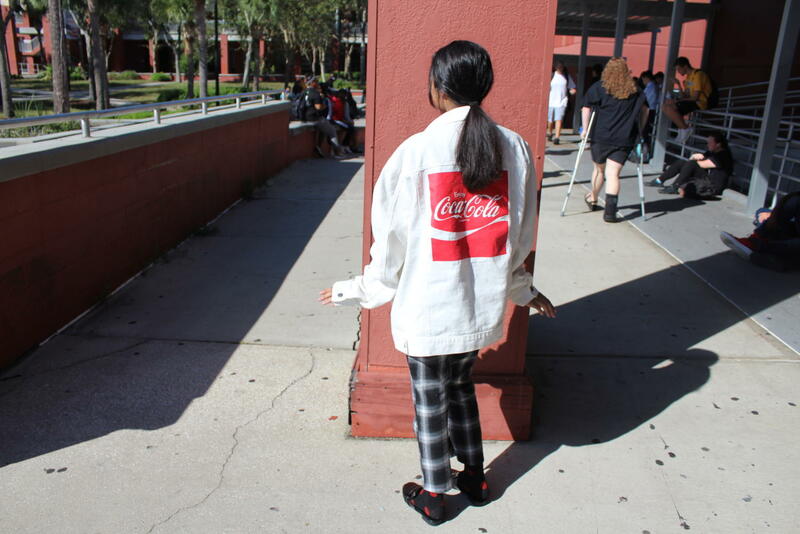 Sophomore Jazzmine Rosas poses for a picture on throwback to your favorite decade day. Some of the major trends that people wore would be the long designed pants and over sized jackets. This year the 90’s era of fashion is dominating the runway, flooding stores and a rising prominence in schools. There are some classics everyone is more than happy to invite back and incorporate into the present day fashion, however there are some trends that should have stayed in the 90’s. The slip dress made a huge comeback and this versatile piece can stay. It is an essential to any trendy girl’s wardrobe, soft, form-fitting material in a flattering color, paired with a jacket of choice, is just one of the million ways it can be worn. Preppy style. Referring to the iconic style from 90’s movie “Clueless” the style of Cher and Dionne is in. Plaid skirts, solid color turtlenecks, scrunchies and knee high socks, are all vital items to achieve the preppy style. Denim. Not just limited to jeans but skirts and jackets are also acceptable anything after that is not advised. Now let us be clear: jeans and denim jackets are not to be worn at the same time unless the denim matches perfectly and the style of pants compliments the fit of the jacket. 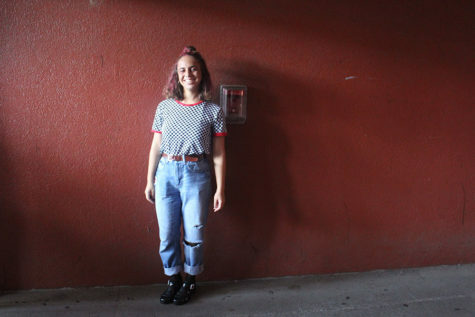 Speaking of the fit of jeans, mom jeans are back and beloved. Cuffing jeans is also very popular again, and I love it, but it will create the illusion of being shorter so use the cuff wisely. A bonus that I wholeheartedly invite back and to never leave is box braids. Like Justice from Poetic Justice braids. They are timeless and will never die out. Box braids work for guys too, they are just done differently. In the 1993 movie “Menace II Society” O Dog has memorable box braids. For a modern day reference an icon everyone knows always has clean box braids is A$AP Rocky. Like I said before, box braids for the win, extra brownie points if a durag is worn to keep them fresh. Now to the things that need to stay in the 90’s. Midriffs. Let me explain, the torso is back but anything above the belly button is not cute. Bandeau tops are not shirts. Sports bras are not shirts. Tube tops are a disaster waiting to happen. A cropped top is trendy and cute but as long as the whole stomach is not out. Showing skin can be a statement, but in moderation. Super-Low Rise jeans. They are not easy to wear anywhere. Not sure what I am referring to? Well I am talking about the jeans Britney Spears used to wear. Too risky for my taste. Most low cut jeans are also a boot-cut style (when the bottom of the pants flare out) and that is also a no from me. Frosted tips. Guy Fieri hair style. Very simply put, do not bring it back. It is looks like a hedgehog on top of someones head. It did not work in Star Trek, and it will not work now. The world of cosmetology has come too far to back track. The 90’s fashion has been a big hit this year with the comebacks of some loved items and not so loved pieces. 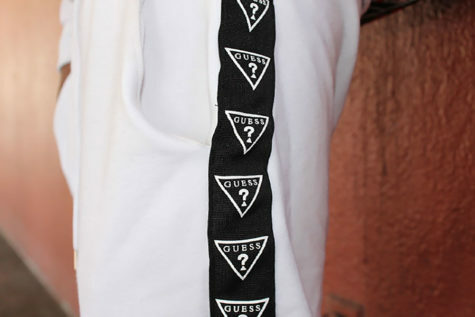 One thing is for sure with these tips, fashion fails are a thing of the past. Senior Jaishamon Jones poses for a picture in his 90’s throwback attire. He was dressed in an all white Guess track suit. 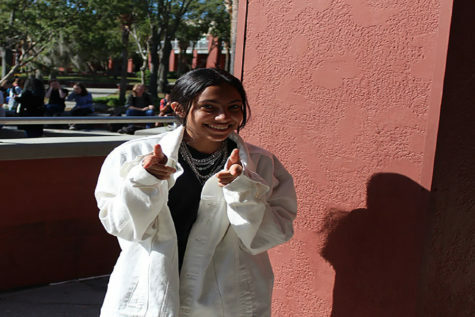 Sophomore Jazzmine Rosas poses for a picture in her 90’s throwback attire. The theme for the day was throwback to your favorite decade. Sophomore Hayli Sapp poses for a picture in her 90’s throwback attire. The theme for the day was throwback to your favorite decade. Sophomore Emonie Brinson poses for a picture in her 90’s throwback attire. The theme for the day was throwback to your favorite decade. Senior Brian Bacon and Johnathan Patterson pose for a picture in her 90’s throwback attire. The theme for the day was throwback to your favorite decade.